You may receive updates from Joyce Area Residents Association, the sponsor of this petition. Reject Expensive Towers in Renfrew Collingwood! The Joyce Area Residents Association (JARA) is against the plans proposed in the Joyce Station Precinct Review. The City wants to rezone the corners around Joyce Station intersection and surrounding areas. After meeting with city planners, JARA found that there is a potential for 100% market-rate condos to be put in. These would be 100% unaffordable to the existing community. There is no transparency concerning community amenity contributions, nor is there any concrete plan or timeline for social housing. There will not be full language accessibility for people whose first language is not English in a neighbourhood that has historically been diverse and multi-lingual. We want new developments to protect and meet the needs of the existing community without the forced relocation of renters and families. 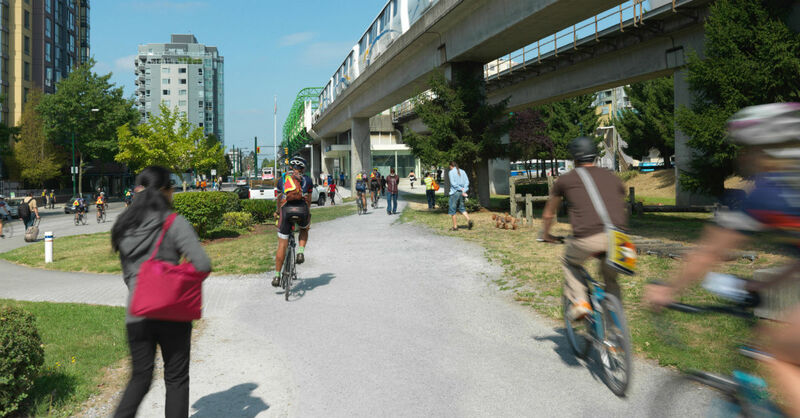 We, the undersigned, are opposed to the City of Vancouver’s Joyce Station Precinct Review. Renfrew-Collingwood is a unique community; home to many working class immigrant families, renters, and culturally diverse retailers. The precinct review is suggesting new condo developments that will drastically impact the existing community, and City planners have refused to assess these impacts. 1. We fear that vulnerable residents and retailers will be displaced or priced out due to demolitions and increasing unaffordability. We demand a social impact assessment and protections for vulnerable residents and retailers so they can remain in the neighbourhood. 2. The consultation process is inaccessible, incomprehensive, and not transparent. The City has refused to translate plans and feedback materials into multiple languages, alienating community members that do not speak English as a first language. We demand that all Joyce Station Precinct Review outreach efforts, processes and materials are multilingual and culturally accessible. 3. The towers proposed at Joyce Station intersection are 100% market condos and there are no concrete plans for community amenities and social housing, despite Affordable Housing being one of Joyce Collingwood’s top 3 needs assessed by City planners and community stakeholders. We demand that City planners follow through with BC Housing to outline a clear plan in the Precinct Review to secure 100% social housing sites for the future. To learn more, see our website at joyceareaRA.wordpress.com or send us an e-mail at joyceareaRA@gmail.com.